Stability of the electricity industry is crucial for economic growth of all nations. Sustainable economic growth cannot be accomplished without secured energy supply. The book underlines how management of the electricity industry should be conducted and the efficient form of electricity market structure. The book also studies the electricity industry in Korea which has been a strongly supportive and vital factor in the economic development of Korea for the last few decades. The book focuses on the three market players of the electricity market and they are the suppliers, consumers and the government-related organizations. 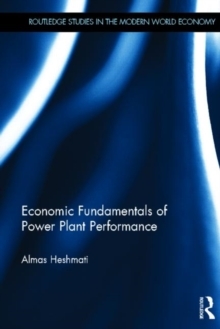 It includes detailed information on generation and finances at the generator level and analyzes the efficiency differences among generators, plants and business units by using different performance measurement methods. It identifies and analyzes different production factors' effectiveness and relationships in generation. The comprehensive analysis helps to provide explanations in the differences in the performance of the studied units. The book also discusses the implications of the findings for future resource allocation and how we can further enhance the efficiency of the industry.